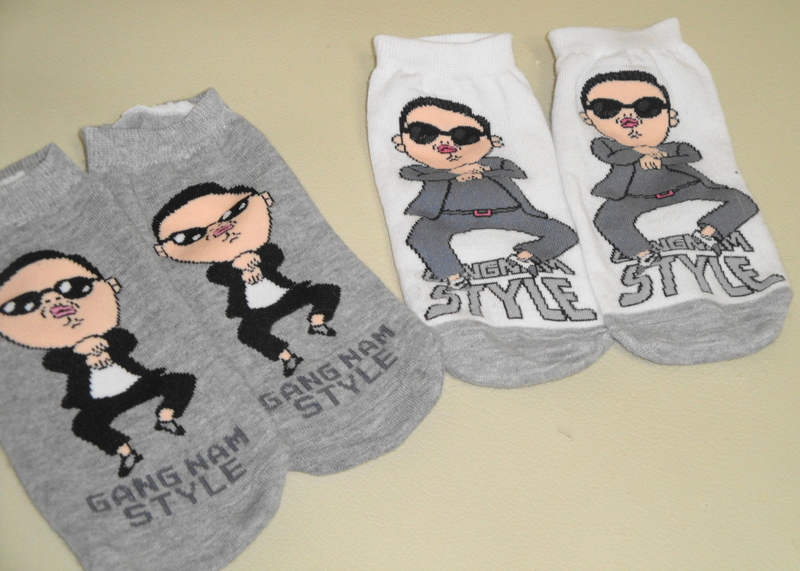 Gangnam Style Socks – The PSY Train keeps on rolling! The video may have been watched over 500million times on Youtube (3rd highest of all time) and the song has been number number in the UK and number in the US plus many other countries but what else? 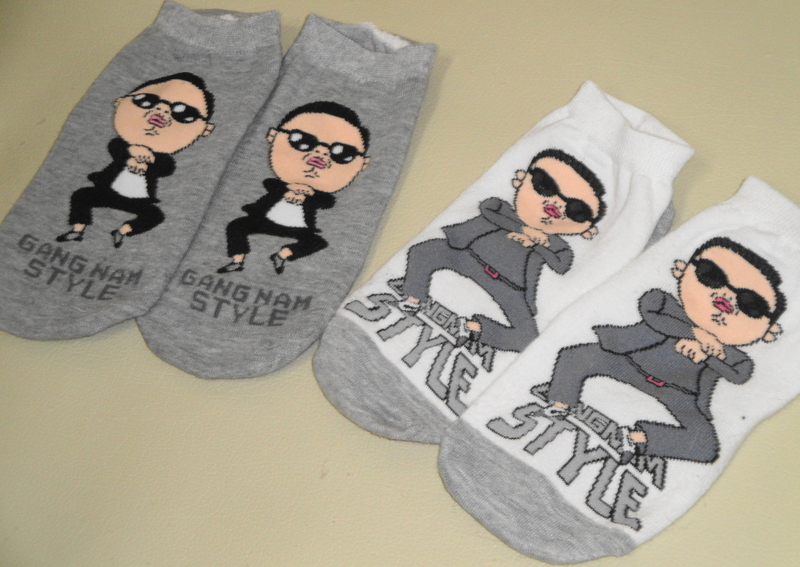 Well this weekend I found and purchased a couple of pairs of Gangnam Style Socks for ₩500 per pair (50¢). I’m also starting to see more clothing, as well as stationary and PSY related ad campaigns around. This has truly been the summer of and maybe year of PSY / Gangnam Style. If anyone else has been any other PSY / Gangnam Style products around please let me know. Next Next post: ￦1000 Ice Coffee – A Summer only craze?